Fire department spokeswoman Blair Skinner told news outlets that the employee was hospitalized Monday after being hit downtown. 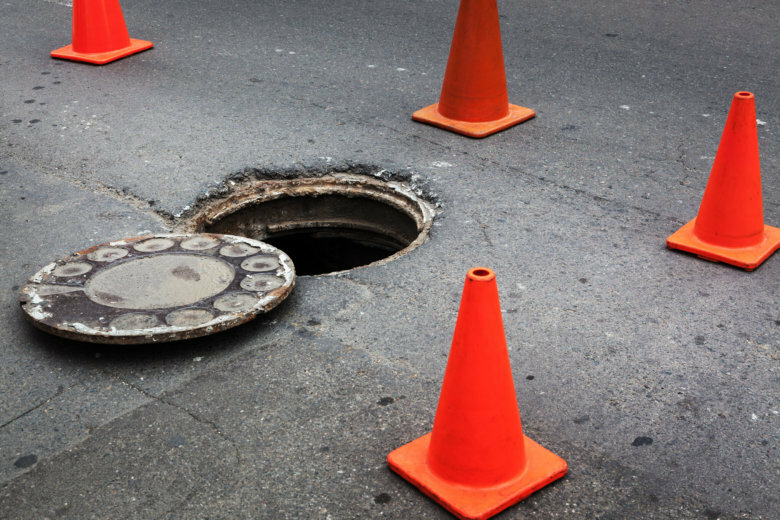 BALTIMORE (AP) — Authorities say a flying manhole cover injured a Baltimore fire department worker on the scene of an underground fire that caused several manhole explosions. Fire department spokeswoman Blair Skinner told news outlets that the employee was hospitalized Monday after being hit downtown. Two fire trucks were also damaged. The worker’s condition is unclear. Details about the fire and manhole explosions haven’t been released, but news outlets report video shows plumes of thick black smoke emitting from a manhole. The city has had other underground fires this year. In February, smoke from an underground fire near downtown sparked fears of carbon monoxide. In June, another underground fire caused two manhole covers to explode and damaged a quarter-mile of electrical cable.